The time has come! 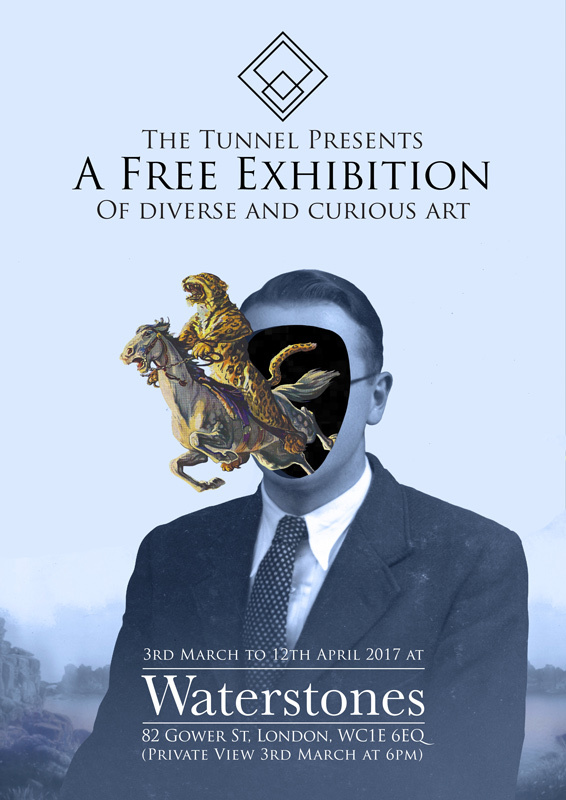 The Tunnel (my art collective) has been invited to show at the new gallery that the Waterstones book store in Gower Street. It's a brilliant and unique space where we will showcase new work by Tunnel members. This will be the first show I am curating! New Paintings for the Exhibition! I've been working intently on She Wolf to get the painting ready in time for The Tunnel at Waterstones art exhibition. I'm super excited to share this oil painting with you, I feel its a rather special painting that marks the beginning of a journey of a new way of painting for me. For this oil painting I used much looser brushstrokes and wanted to capture an energy in the art work. I wanted the colours of the paint to be vibrant and pure- many are taken straight form the tube with no mixing. I feel the vibrancy and purity of the colours should reflect something about the nature of the subject in the painting.